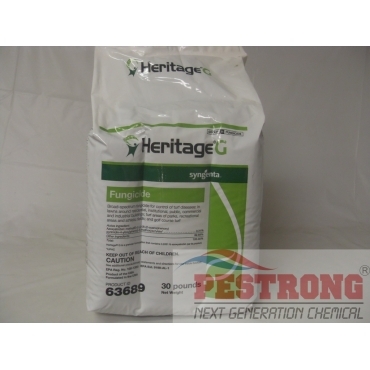 Where to Buy Heritage G Fungicide, Heritage G Granular Systemic Fungicide - 30 Lb - $79.55 for Sale with Fast Free Shipping! Heritage G Systemic Fungicide - 30 Lb is perfect for operations that want to provide top-notch disease control, without the attributes of a liquid fungicide or when weather conditions prevent spraying. By using a highly water-soluble carrier, Heritage G is able to provide the effectiveness of a sprayable with the convenience of a granular. Lighter-weight granules spread over a wider area than traditional granules. Good fungicide, follow the label instructions and you will be fine. Shipping was fairly quick so no complaints here. first time trying this company. heard good things about this product. Time will tell. Seems to be working. Quick service from the vendor. This is a great product. Without it we would have lost our fescue grass. The product was recommended to us by a horticulture professor at Oklahoma State University. This is the man who teaches all the grass courses. I recommend use right product like this for problem. It is good product. After 10 days, most of brown patch over bermudagrass has be gone. It works great. If you don't know about fungus, don't worry. Use this one. 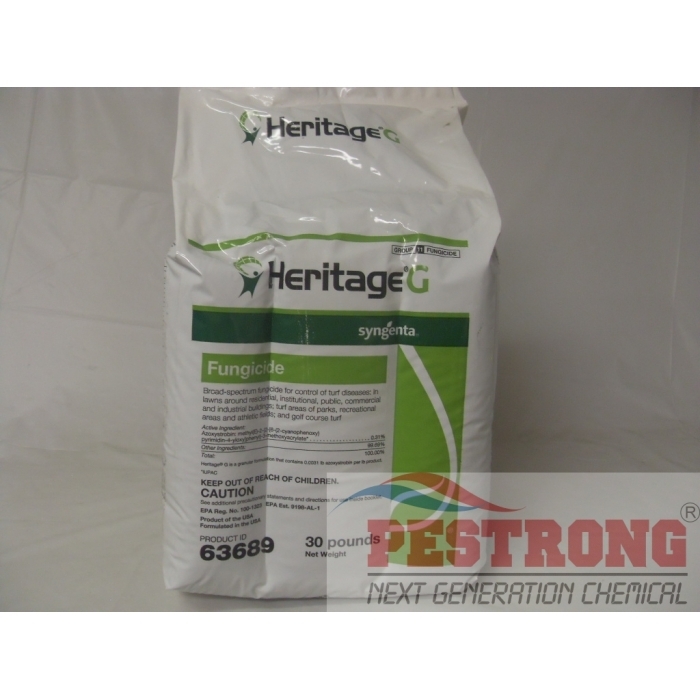 The best way to prevent and control brown patch or large patch in the home lawn is by using heritage g fungicide. This is much easier and less expensive than other fungicides and can be very effective.